Welcome to the 4th part in our series of troubleshooting articles dedicated to the iPhone 6 Plus. 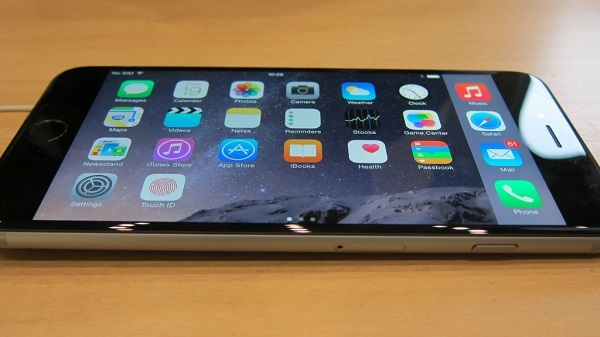 As we all know this is one of the latest phone models of Apple released, the other being the iPhone 6. What sets this model apart is that it is the first iPhone model to breach the 5-inch display size having a 5.5 inch display. It also has the latest hardware and supports various new features making it one of the most sought after models released by the company. Despite being a high end device that almost looks perfect it also has its fair share of issues. These issues are what we will tackle in this latest installment of the series. If you own an iPhone 6 Plus or any other iPhone model for that matter then feel free to send us a message to our mailbag questionnaire. We will be more than happy to assist you with any concern that you may have with your device. This is a free service we are offering with no strings attached. We however ask that when you do send us an email try to be as detailed as possible so that an accurate assessment can be made and the correct solution can be given. Solution: Since you already tried various Bluetooth devices with the same result then the issue may be with the phone itself. Before doing the troubleshooting make sure to perform the following steps listed below. Tap Settings > Bluetooth and turn Bluetooth off and then on again. Make sure that your Bluetooth accessory is turned on and fully charged or connected to power. Tap Settings > Bluetooth and locate the Bluetooth accessory you are currently connected to or attempting to connect to. Then tap it and tap “Forget this Device”. Try to pair your Bluetooth accessory again. You may need to enter your Bluetooth accessory PIN again if your accessory requires one. Some common PINs are 0000, 1111, and 1234. Restart your Bluetooth accessory by turning it off and then on again. To troubleshoot this issue perform the steps listed below. Proceed to the next step if the issue persists. Move your iOS device closer to the Bluetooth accessory. Position your iOS device and Bluetooth accessory in direct line of sight of each other. For example, move the Bluetooth accessory and iOS device to the same side of your body. Remove any case, stand, or other accessories from your iOS device and see if performance improves. Check for sources of potential interference and move both the iOS device and the Bluetooth accessory away from other electronic devices. If the issue persists then do a software restore from iTunes. Problem: I just recently noticed that whenever I want to take a picture with my IPhone 6 plus rear camera, the pictures come out blurry and unfocused. I tried to tap my screen for it to focus on something, but that doesn’t work and it only seems to focus on things that are close to the lens. What is happening? This is unacceptable for an expensive phone. Solution: The first thing you should do is to check if the camera lens cover is clear. In most cases involving blurry photos the lens cover has oil or grease on it. This arrives in your lens through your fingers. You should try wiping the camera lens cover with a microfiber cloth first and see if this resolves the issue. If your photos remain blurry or unfocused then the next step is to force close the camera app. If you are still having the same problem then reset your phone. To reset, press and hold both the Sleep/Wake and Home buttons for at least 10 seconds, until you see the Apple logo. Problem: Hello, yesterday I noticed that my main camera on my iPhone 6+ does not focus any more. The focus is stuck about a middle point between close and far focus…. So if I were to point my camera at a wall a distance away from me, it is blurry. Any object close to the camera, blurry. Please note that after some research this is not the same as the OIS problem that some people have been facing. My question is, have anyone heard of this? If so, is there a fix? Second question, my iPhone is covered by a Verizon warranty that should cover any fixes, do I just take the phone to an apple store or a verizon store? Thank you very much. Solution: Several other owners of this device have also reported experiencing this same problem. Try to restart your device first and see if this resolves the problem. Listed below are the troubleshooting steps recommended by Apple in cases such as this. If the problem still persists then you should bring your phone to the nearest Apple Store for checking. Solution: Before ruling this as a battery problem try to do a factory reset on your phone first and set it up as a new device. Make sure to back up your data first before performing this procedure. After your iOS device is restored to factory settings, it will restart. Once it does, you’ll see the “Slide to set up” welcome screen. Follow the steps in the iOS Setup Assistant. You should set up your device as new. Don’t install any apps yet as you will have to observe the battery performance of your phone first. If the issue still persists then there’s a possibility that the battery is already faulty. Bring your phone to the nearest Apple Store for checking. Problem: I have an iPhone 6 Plus, 64GB. I am having the following issue: My screen will either get stuck in landscape or upside down. Yes, I said upside down. There are times I will unlock the the phone and when the home screen comes up, everything is upside down, just like an iPad would be when you turn it around. Even when I spin the phone around, trying to get it to turn the screen, it won’t rotate the icons. I hit the power button, and unlock it again, but it doesn’t always fix it. Last time it was stuck, I had to power the phone off and back on before it would work right again. I have checked the orientation lock button, and it is not activate. I have checked to see if my screen is regular or zoom and it is set to regular. I have also performed a factoy reset and setup the device as new. Anyone else seeing this? I wonder if it is a bug with hardware that controls orientation? Solution: If after performing a factory reset the issue still remains then this is most likely a hardware related problem. You should bring your phone to the nearest Apple Store for checking. Problem: Hi, the volume buttons on my iphone 6 plus (with iOS 8.1.2) will stop working after placing a phone call. It remains like this until I turn off and then on the screen using the power button. I have been having this issue since iOS 7 on an iphone 5 so I believe it is a problem of iOS or some combination of settings on my phone. Anybody know how to fix this? Solution: If the volume does not seem to respond when you press the volume hardware key then do the following steps listed below. Unlock your device. Some buttons don’t work from the Lock screen. Check for debris or dirt around the button or switch and clean it with a soft cloth. Remove all protective films and cases that might interfere with the button or switch. If the problem persists then you should bring your phone to the nearest Apple Store for checking.